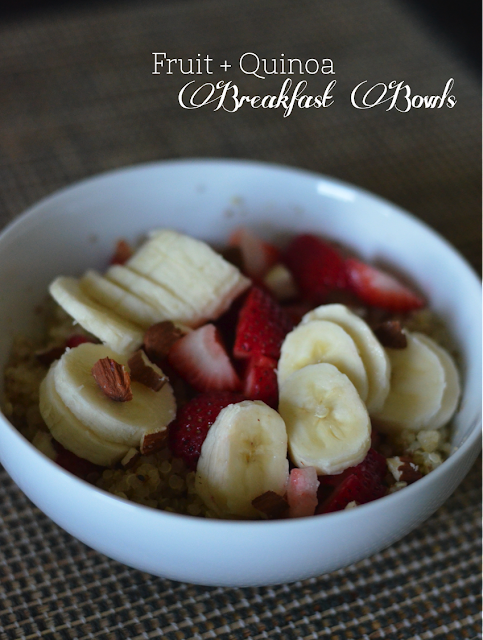 a spot of whimsy: Recipe | Fruit + Quinoa Breakfast Bowls. 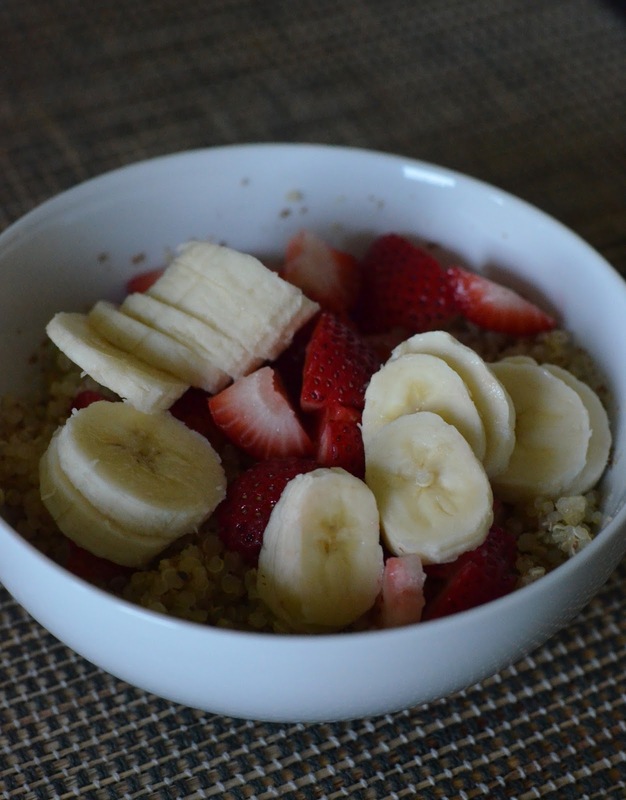 Recipe | Fruit + Quinoa Breakfast Bowls. These bowls are a healthy and super-filling way to start your day. I adapted the "recipe" from Protein Bar's awesome breakfast bowls because, well, as much as I want to, who can afford to go there every day? Make quinoa as instructed on box. Then load it up: a splash or two of milk, a drizzle of agave, a sprinkling of almonds, flax seeds and chia seeds. Stir slowly. Now heap on the fruit! Choose whatever combination of fruit entices you (or is in season!). 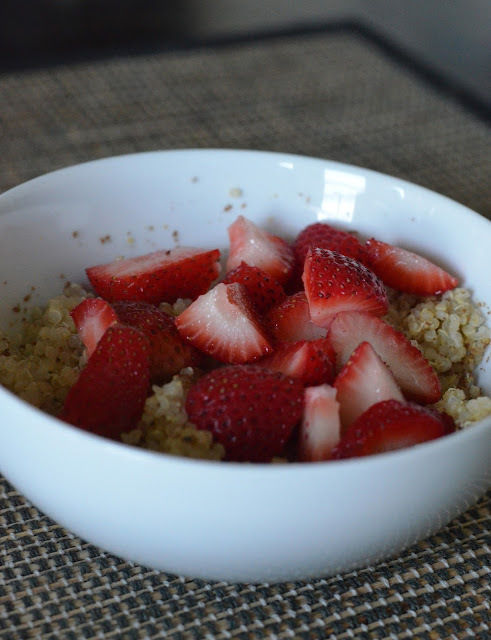 My personal favorite is strawberries and bananas, but raspberries, blackberries and blueberries all also pair really well with the quinoa. Other possible additives: cinnamon, almond milk, walnuts, protein powder. 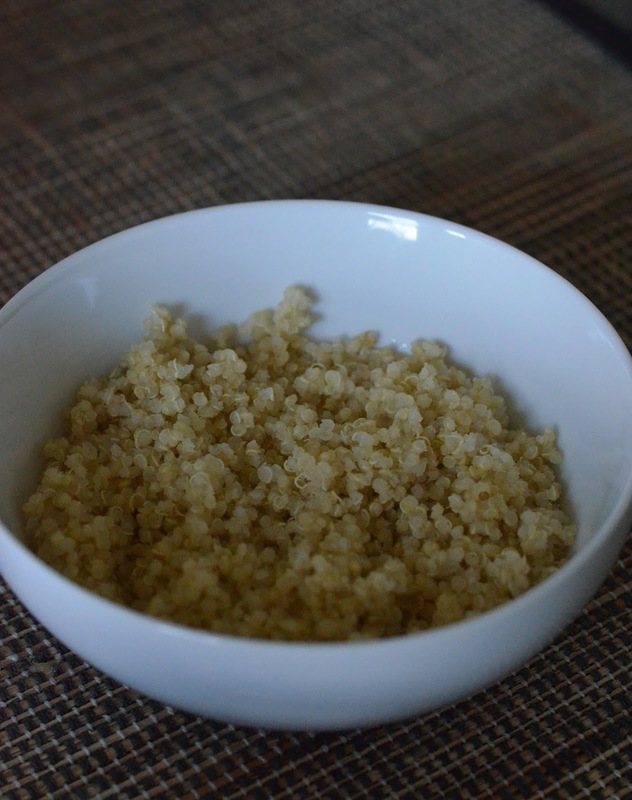 To speed the process along in the morning, I usually make a big batch of quinoa at a time that will then last me 3-4 bowls. Assemble everything but the fruit the night before. Heat the mixture in the microwave for about 45 seconds to a minute in the morning, add fruit and enjoy!